I was always very good at math in school. Though, to be fair, I was generally good at school in school. Some of my friends, though, not so much. Though gamers, I've found, are usually better at math, there's always room for some improvement. And if you can have a game related to that, so much the better. That's where Math Fluxx comes in. It's coming soon from Looney Labs. Math Fluxx really is all about the numbers. Players use positive integers (whole numbers) in their quest to achieve a very mathematical Goal. But it's not just putting 4 and 2 together to achieve the 42 Goal (for example); Math Fluxx also features the Plan B Meta Rule. Plan B puts Special Victory Rules into play which give you a second way to win and require even more arithmetical acumen (for example, the rule "Plus Victory" lets you win if your Keepers add up to the current Goal number). Math Fluxx is a very special version of Fluxx. It's as fun as all the other Fluxx versions, but this one actually has a nice emphasis on practical math skills. 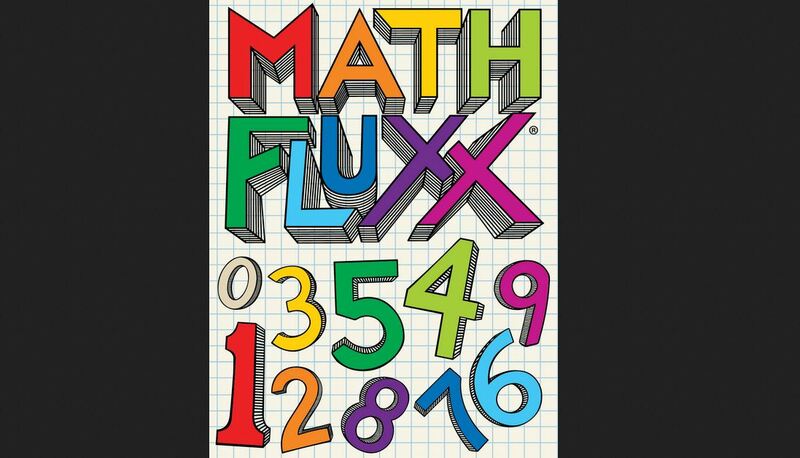 Math Fluxx is also a great way to introduce the fun of Fluxx into any classroom setting. Because with Math Fluxx, change really is the only thing you can count on and the fun is exponential! You can expect Math Fluxx to hit store shelves on March 9th.